Something a little different from The Atomic Attic. 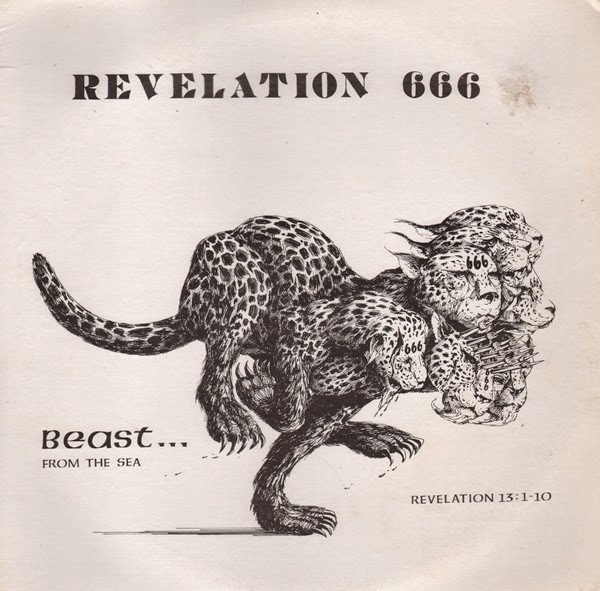 An obscure spoken word "sermon" LP that is more about Jima's "predictions" then preaching the word. 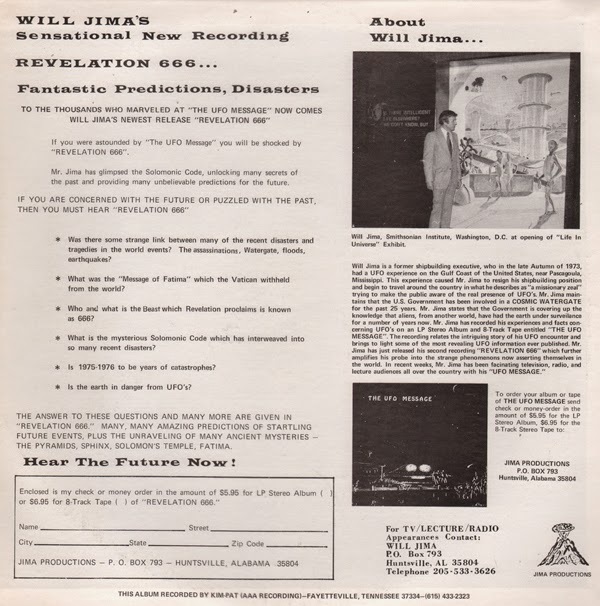 From the back cover: (About Will Jima) Will Jima is a former shipbuilding executive, who in the late Autumn of 1973, had a UFO experience on the Gulf Coast of the United States, near Pascagoula, Mississippi. The experience caused Mr. Jima to resign his shipbuilding position and begin to travel around the country in what he describes as "a missionary zeal" trying to make the public aware of the real presence of UFO's. Mr. Jima maintains that the U.S. Government has been involved in a COSMIC WATERGATE for the past 25 years. Mr. Jima states that the Government is covering up the knowledge that aliens, from another world, have had the earth under surveillance for a number of years now. Terry Baxter… Collect them all!